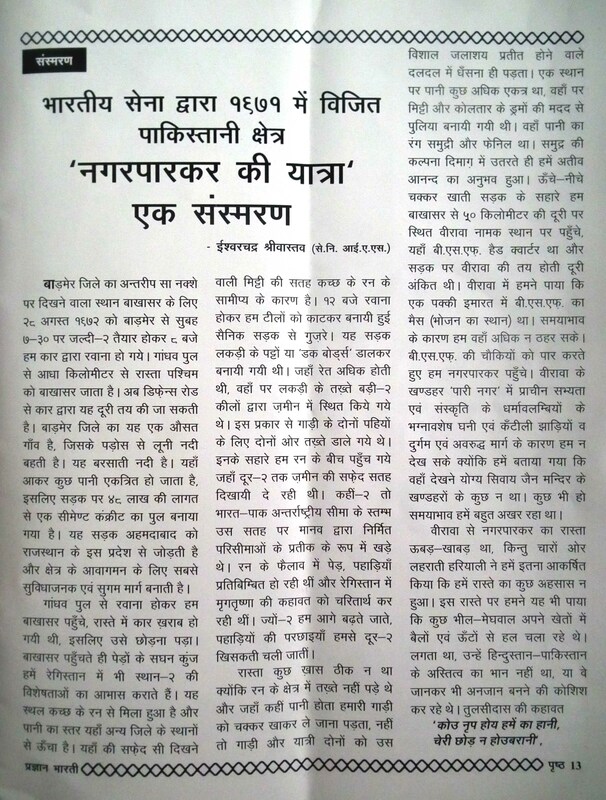 The launch of ‘India Heritage Hub’, an excellent and unique effort towards mobilizing support for preserving our diverse cultural heritage has prompted me to submit a travel-reminiscence recalling our family journey to Nagarparkar, a Tehsil headquarter of Tharparkar District in Pakistan, in August 1972 before this Indian Army “occupied area” was handed back to Pakistan under the Simla Agreement on Indo Pak war (1971). 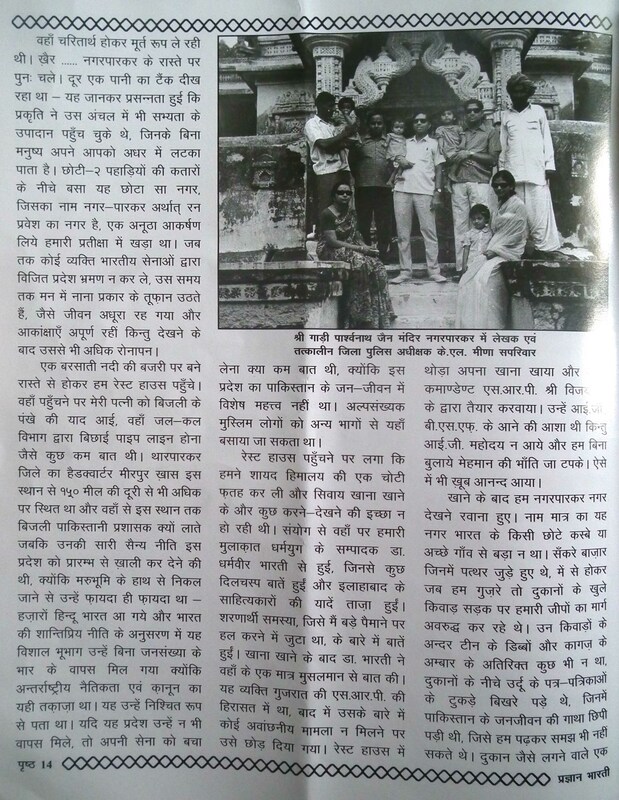 The attached account, titled ‘Nagarparkar ki Yatra’ was published in the special issue of Pragyan Bharti dated the 30th September, 2011 published from Jaipur. Briefly, Nagarparkar, a small town located close to Rann in Pakistan, offered us a rare one off opportunity to have a close look at the common cultural heritage of undivided India reflected in the Vishnu and Jain temples besides mosques, shops, deserted houses and rural leisurely life of the few remaining Meghwals oblivious of the ravages of war, bespoke of the ancient civilization of the region.